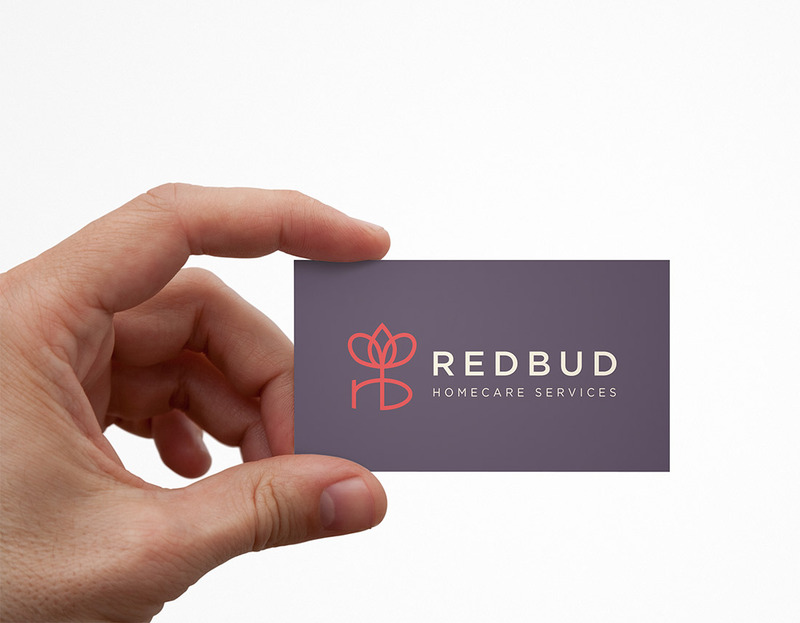 RedBud HomeCare Services is a small, family-owned home care agency in Austin, Texas, providing reliable, hands-on care. Using a highly-personalized approach, RedBud strives to accommodate independent living for as long as possible. 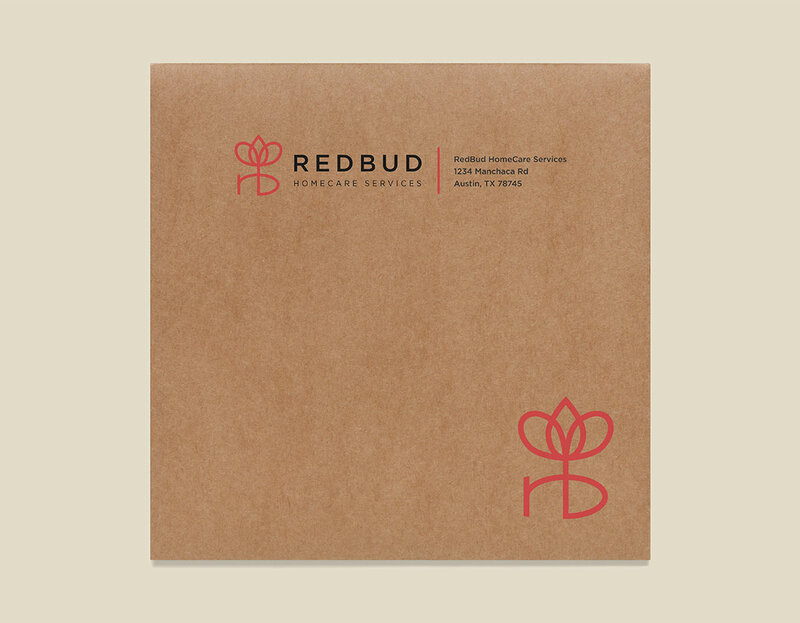 RedBud approached us with an existing logo and visual identity which invoked an image much more aligned with a medical/hospital clinic rather than what they are, which is a highly-personalized home care service. 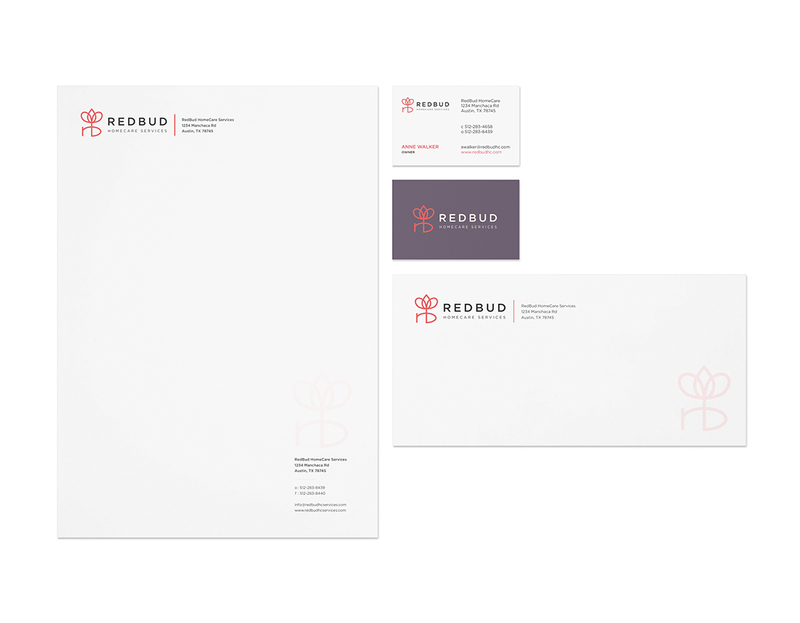 As the business grew, it became increasingly necessary for the RedBud brand to evolve in order to more closely align with their core services. 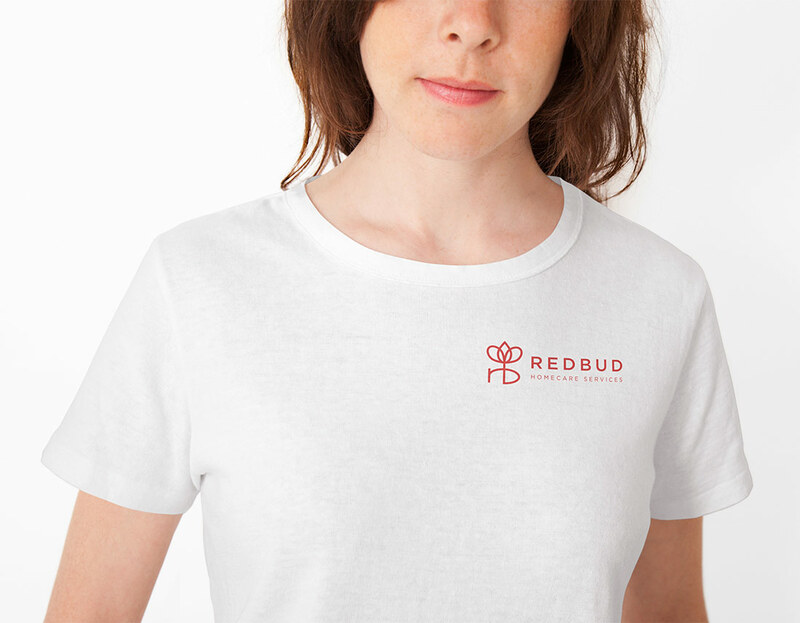 We created a completely custom, hand-drawn logo design for RedBud. The mark incorporates the letters R and B into a stylized, abstract interpretation of a redbud flower. The minimal line work promotes a much more refined industry presence. For the lettering, we paired the logo with Gotham because of its similar weight, typographic flow and scalability. Kerning and leading were expanded for spatial uniformity. 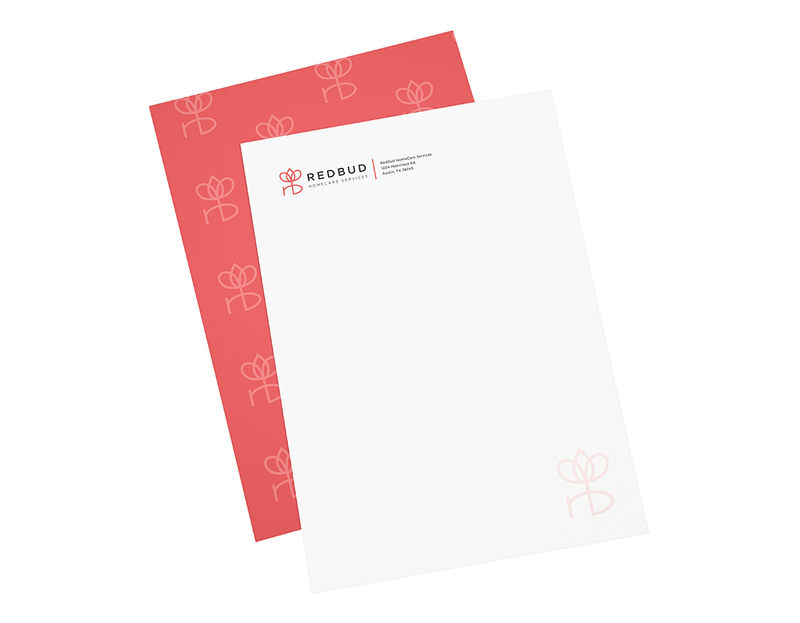 Our goal was to create a completely custom and unique logo design. Our design process begins with research, reference material and lots of sketches. Primary mark, logotype and lettering variations/colors/schemes for various applications.